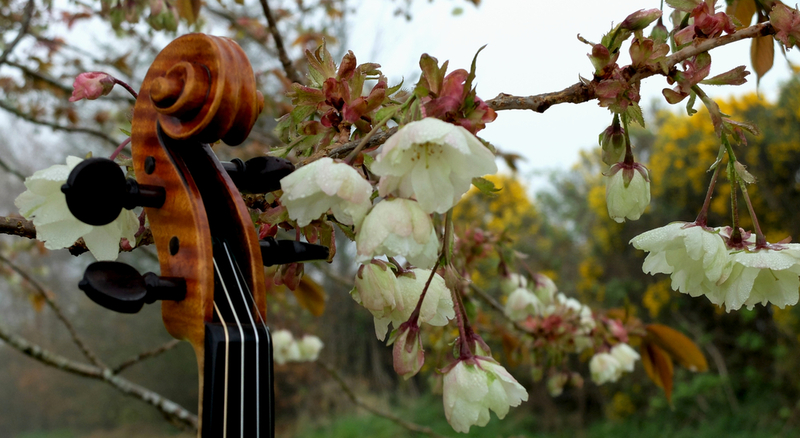 "Geographically and musically eclectic, The Return of Spring has one ear cast to distant shores and the other trained firmly on the quiet corners of Sliabh Luachra, Sligo and Donegal. 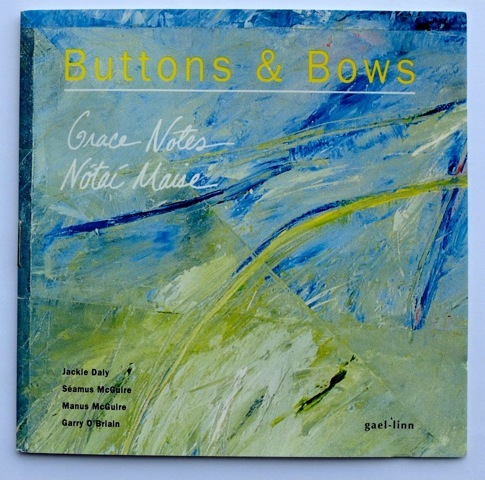 The result is a treasure trove of trad and contemporary tunes"
"The Return of Spring by Buttons and Bows will be Instrumental Album of the Year"
When Buttons and Bows first landed on the Irish music scene in 1983, a new splash of colour was thrown into the mix. Decades later, the band’s repertoire still raises a smile at traditional music sessions in every corner of the globe. And it still sounds fresh, flamboyant and a bit different. This influential foursome - made up of Jackie Daly, Séamus and Manus McGuire and Garry O’Briain - began its days with sessions in Kinvara, Co Galway, fuelled by a shared taste for musical adventure. Their individual journeys had already brought them to Scandanavia, Shetland, and North America, places which yielded rich pickings of musical influences and ideas. Seamus and Garry had both lived in Eastern Canada and brought home an exciting new repertoire of tunes, many of which had crossed the Atlantic in the hearts and minds of Irish and Scottish emigrants. With their roots firmly planted in their beloved Irish traditional music, Buttons & Bows was ready to experiment with graceful Quebecois waltzes, lively Danish quadrilles and achingly beautiful Shetland airs. Barriers were broken, energy and humour abounded, jigs and reels were given a new dusting of magic. Because of the band’s connection with the folk music of Canada, they were invited to perform as the opening act at the 1983 world premiere of The Brendan Voyage (composed by Shaun Davey and performed by Liam O’Flynn and the RTE Symphony orchestra) at the National Concert Hall, Dublin. Three critically-acclaimed albums followed - Buttons & Bows, The First Month of Summer, and Gracenotes. Tours of the US and Canada were received enthusiastically by critics and audiences. Their music was featured in the Disney/Touchstone film, “The Good Mother”(1988) starring Liam Neeson and Diane Keaton. The Wall Street journal described their music as “polished and exuberant”. Music archivist Jackie Small spoke of the band’s “happy juxtaposition of many different moods, from relaxed and mellifluous to biting and humorous”. The words ‘Button Accordion’ and ‘Jackie Daly’ are synonymous in the world of Irish traditional music. Described in the New York Times as “probably the best accordionist in Ireland”, Jackie was born in Kanturk, Co. Cork, and grew up in the formative traditional music environment of Sliabh Luachra. 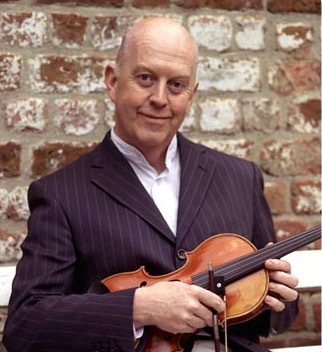 One of the greatest influences on his early musical development was Ballydesmond fiddle-player Jim Keeffe, a pupil of the renowned Sliabh Luachra fiddle-master, Pádraig O’Keeffe. 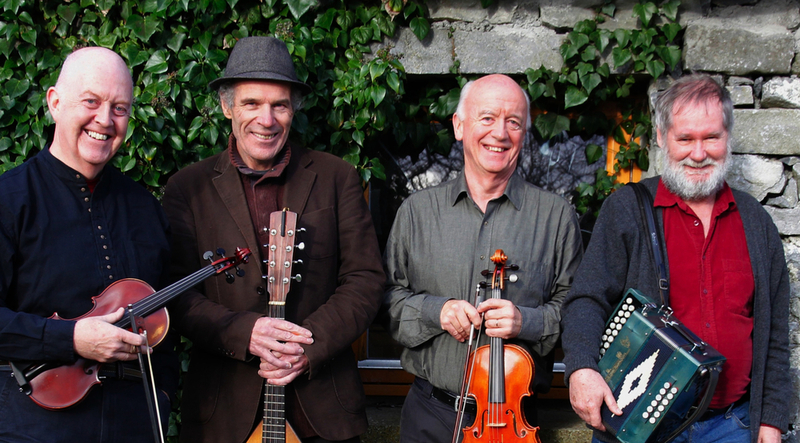 Over the years, Jackie’s lifelong affinity with fiddle music resulted in many highly-acclaimed albums featuring fiddle and accordion – with the late Cork-based musician Séamus Creagh, with Kevin Burke, Séamus and Manus McGuire and Matt Cranitch. Jackie was a central figure in some of the most influential groups playing Irish music in recent times. His performances with bands such as DeDanann, Patrick Street, Buttons and Bows, Arcady, Reel Union and Kinvara all attest to his wonderful musicianship and versatility. However, the style and repertoire of the Sliabh Luachra tradition made the most significant impression on his accordion-playing, as exemplified in his unforgettable performances and recordings. He has toured and taught extensively and internationally. In 2005, he received the TG4 Gradam Ceoil (Irish National Music Award), and in 2009, the Kanturk Arts Festival Award. In July 2015 he will be artist in residence at the Catskills Irish Arts Week, Durham, NY, USA. Born into the richly musical environment of County Sligo, Séamus grew up in a family which fostered a great love of music and especially the art of fiddle-playing. His musical background was diverse - in his early years he studied classical violin while embracing the traditional fiddle styles of his native county. These dual influences were to have a lasting effect, contributing to the development of his highly distinctive performance style. By the age of sixteen, Séamus had already won the prestigious “Fiddler of Dooney” competition, and was already recognised as one of the country’s finest young traditional players. 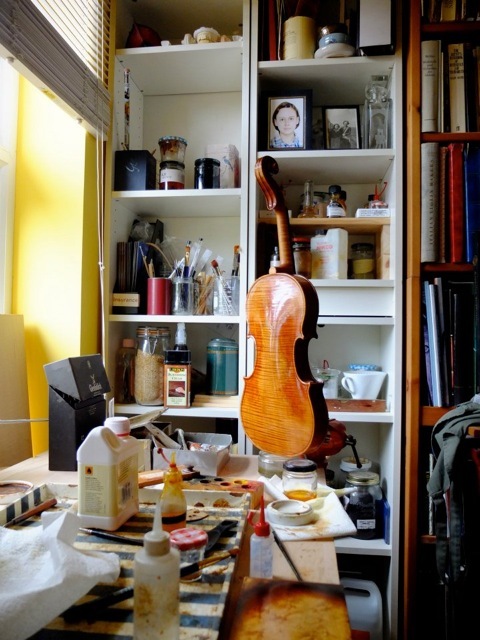 A few years later, his interest in classical violin playing lead him to join the Dublin Symphony Orchestra. He is well known for his recordings and outstanding performances with the group, “Buttons and Bows” which he formed in 1983 with his brother Manus, the accordion-player Jackie Daly, and mandocellist Garry O’Briain. The group has been credited with introducing the music of Shetland, Scandanavia, Quebec and Ontario to wider Irish music audiences. Séamus’s solo recording, “The Wishing Tree”, inspired by the poetry of Seamus Heaney, was named by The Irish Times as one of the top five traditional recordings in Ireland in 1995. The title track is a moving tone-poem composed by Seamus McGuire, inspired by Heaney’s eponymous poem. The idea of forming The West Ocean String quartet originated with Seamus in 1995 during a conversation with Belfast cellist and composer, Neil Martin. As a result of his collaboration with Neil on the recording of The Wishing Tree album, the quartet held its first rehearsals at the Tyrone Guthrie Centre in Annaghmakerrig in 1999. Since then they have gone on to record four critically-acclaimed albums, winning Trad Album of the Year, 2014 in The Irish Times, and performing at The Royal Albert Hall at “Ceiliuradh”, a celebration of President Michael D Higgins’ historic visit to the UK in 2014. Born in Tullamore, County Offaly, raised in Sligo, and living in Scarriff in East Clare, Manus McGuire is best known for his wonderfully rhythmic fiddle-playing, his “lifting” Sligo style and his remarkable repertoire of fiddle music from Ireland, Shetland, Canada and beyond. Manus grew up in a family in which music was nurtured and encouraged, and from an early age he developed the flowing Sligo fiddle style made famous by such legendary players as Michael Coleman, James Morrison, Paddy Killoran and Lad O’Beirne. In fact Lad O’Beirne was a regular visitor to the McGuire household in Sligo in the 1960s when Manus was growing up, and proved to be a lasting influence on his playing style to this day. Manus’s exceptional musical gift became widely recognised in 1970 when he won the prestigious Fiddler of Dooney competition at the age of 14. Since then, he has recorded several albums, including three with Buttons and Bows, two with Moving Cloud, and two with Brock McGuire band. Their latest album "Green Grass Blue Grass", was recorded in Nashville with special guest, fourteen-time Grammy award winner, Ricky Skaggs. In addition, he has recorded two solo albums, “Saffron and Blue” (Green Linnet) and “Fiddlewings” (Shelly River Music). His 1984 recording, “Carousel” with his brother Séamus and Daithi Sproule, is regarded as a classic in the Irish traditional music world. Manus was voted “Male Musician of the Year” in 2006 by the Irish American News and also received the Bravo Award from Trad Magazine in 2007. He has composed and recorded many memorable tunes including “Fort Dunree” and “Genevieve’s Waltz”. In addition to performing, Manus has taught fiddle at Gaelic Roots in Boston College; the Swanannoa Gathering at Asheville, NC, Rencontres Irlandais at Tocane St Apre, France and O’Flaherty Retreat, Mithlothian, TX. 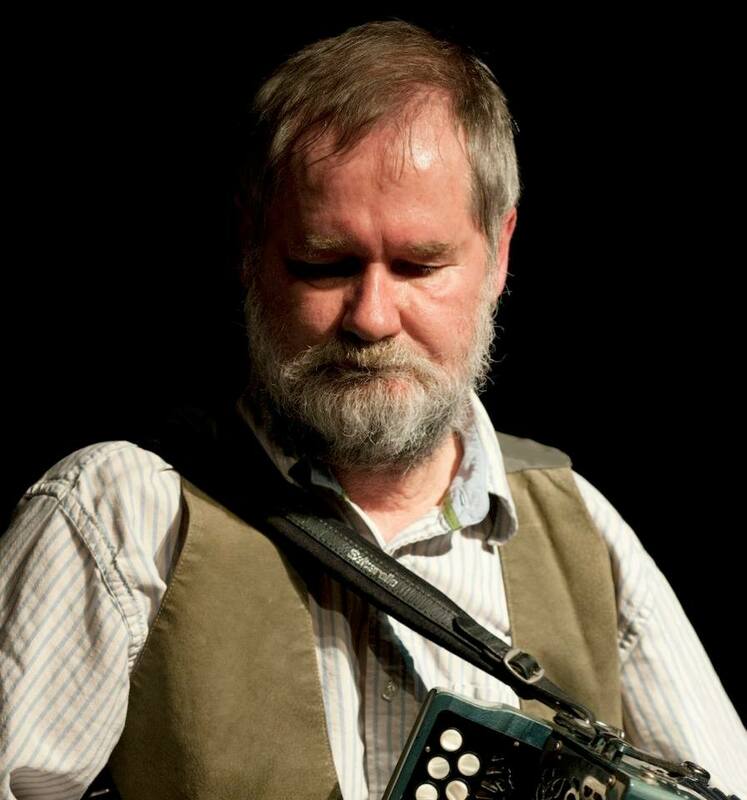 Garry O’Briain is one of the most distinguished and sought-after accompanists in Irish traditional music. His distinctive style on mando-cello, guitar and piano is instantly recognizable and reflects his remarkable skill and ease in a wide range of musical genres. He has been a member of a number of landmark Irish music ensembles, including Skylark and Buttons and Bows, and is a member of the legendary Scottish-Irish band, The Boys of the Lough. His list of recordings as a session player is extensive; he has written music for stage, film and television, as well as over a hundred songs. Garry’s solo album, “Cat Won’t Fly,” is an impressive collection of some of his original works. His critically-acclaimed recording of the music of Ireland’s best-known traditional music composer, Turlough O’Carolan, called “Carolan’s Dream,” is considered one of the finest interpretations of this 18th century composer. Garry is also known for his studio production skills. He has helped produce albums for many musicians and groups including The Clancy Brothers, Danu, Mairtin O’Connor, Buttons and Bows, Dordán, and Seamus and Manus McGuire. The new Buttons & Bows album, “The Return of Spring” was recorded in 2015 by Garry in his Creg na Vagabones studio in north Co Clare.